Why Hire a Team Realty Sales Representative when Purchasing New Construction? a report on all Builders’ Track Records i.e. : complaints filed, unresolved disputes etc. 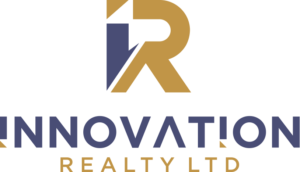 Your selected Team Realty Sales Representative will advise and ensure that you clearly understand some of the difficulties and problems that are synonymous with New Home Construction. They will also advise on the positive aspects to buying New Home Construction. If you are empowered with the full knowledge, you then can make an informed decision and should not suffer any costly surprises.The following are some of the topics your Team Realty Sales Representative will be discussing with you in detail. Backing or fronting onto a future major roadway, railway, transit system etc. Does home conform with future residential development i.e. : mix of single family homes with town homes or town walk-ups, apartments etc. Quiet enjoyment is diminished as the builders trades personal will still need access to the home to complete unfinished work or rectify deficiencies noted in the pre delivery inspection. Early Possession is not an option unless the builder has inventory and still may require 60 days before Buyer can take possession. Normally the Builder will need any where from 6 months to one and one half years depending on development plan & lot releases. Applies to First Time Home Buyers only to a maximum of $2,000. Your Team Realty Sales Representative will advise on the application process.